ICSE Results 2017 is declared on 29 May 2017 on the official website of CISCE www.cisce.org. Students can also check ICSE Class 10 result 2017 via SMS. 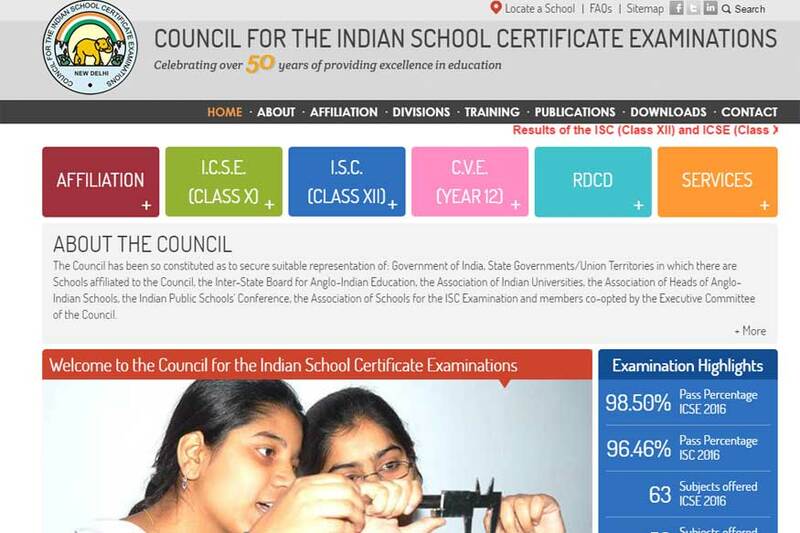 The ICSE Result would be available on the careers portal of the board, board's website. ICSE exam 2017 was conducted from 27 February 2017 to 31 March 2017. Last year approximately 2.12 lakh students have appeared in ICSE Board exam and the total Number of Schools that participated in ICSE 2016 were 1,841. This year 1,76,327 candidates registered for the ICSE and 74,544 for ISC examinations. The candidates who have appeared in ICSE Board exam can check ICSE Results 2017 on the official website of the Council for the Indian School Certificate Examination (CISCE). As per the information, the Council for the Indian School Certificate Examinations (CISCE) was scheduled to be announcing the ICSE on 15 May 2017. However, the result has been delayed as the evaluation of the answer sheets was not done. As per the final notification on the CISCE website, the result is now declared on 29 May 2017. How to Check ICSE Result? Step 1: Log into Council's website (cisce.org) and click on 'Result 2017'. Step 2: Click on the link 'ICSE'. 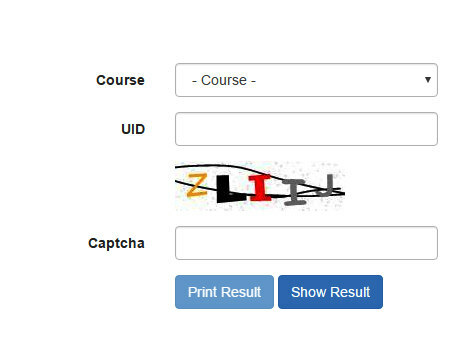 Step 3: Input the correct roll number/UID. Step 4: The result will be displayed. Step 5: Candidates can download the result and take a print out of the same. The ICSE Examination has been conducted in 57 written subjects of which 22 are Indian languages and 9 are foreign languages. For ICSE in India, the Southern region has the best pass percentage i.e. 99.64% followed by the Western region (99.64%), Eastern region (98.22%) & Northern region (97.85%). Abroad, ICSE has achieved 100%. The candidates can also receive ICSE Class 10 result 2017 by sending an SMS along with their 7 Digit Unique ID (Roll Number). To get the result through SMS, the candidate has to type ICSE <Space> <Unique ID i.e. Roll No> and send it to the 09248082883. The subjects and the marks secured by the candidate. The result will not contain the total marks or the percentage of marks secured by the candidate. The schools can check the ICSE Result 2017 for all their candidates by logging in with the Principal's ID and Password. Click ICSE on the menu bar and then click on reports. Click on Result Tabulation to View/ Print the School Result. You may also click on the Comparison Table to View/Print the same. Way to calculate best of five subjects marks: To calculate the best of five, the candidates can take any five subjects in which they have obtained the highest marks and English is a compulsory subject to be included among the five subjects. In case of any query related to ICSE Results 2017, you can write to us in the comment section below.